Hi, Everyone! 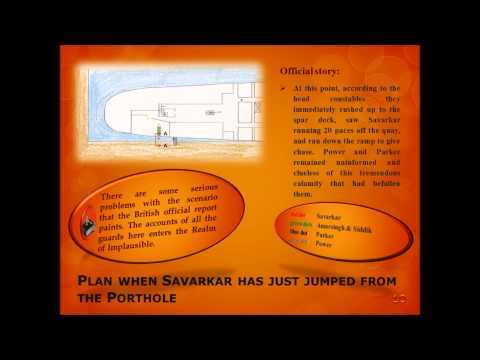 There are so many commendable qualities in Savarkar that I could write pages and pages on them. But today, the particular aspect I want to mention is the fact that no matter what, he never, ever even for a moment betrayed his country or his people in thought or deed—that is what my research has revealed to me. 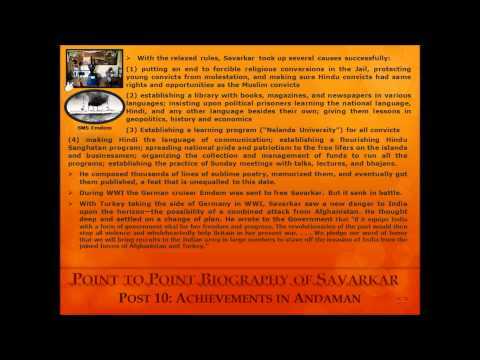 Savarkar was very much ahead of his times, and very often that lead to misunderstanding him, even by those devoted to him. His every word and action was scrutinized, judged, and many times looked at through the spectacles of the Congress perspective. He was also, it seems, held to a much higher standard than other leaders of the Freedom Movement. While so many of the latter have been forgiven for any indiscretions or not-so-savory actions (big or small,) Savarkar is held accountable for everything he ever said or did. Never is any excuse made for him, nor is he given the benefit of doubt—funny thing is, he does not need either. From lack of understanding unnecessary aspersions have been cast upon him. One such case is Savarkar and his advice to the Maharaja of Kashmir and Maharaja of Travancore, just before independence was given to India in 1947. I first heard of this some months before I started to write and research Part II of my novel Burning for Freedom. It was told to me by someone (who shall remain nameless) in hushed tones, as if repeating a deep, dark secret. “Don’t tell anyone,” he said, “But Savarkar advised the Maharaja of Travancore to remain independent.” He seemed to think it was treacherous of Savarkar to do so, and that it must be kept hidden from the general public. A couple of thoughts rushed into my mind right away at this. What cheek, I thought, that someone (of whose capacity for logical and analytical thinking I very much had my doubts) should think so of one who has given so much of himself for the freedom of his country. It seemed to me that to speak thus of what Savarkar did gave it the aura of it being something unsavory, rather than the action itself. The other thought was that I certainly had to look into it, and no matter what my conclusion, whether it was something that cast a blemish on Savarkar or not, I was going to reveal it in my novel. My novel was not just about eulogizing Savarkar, it was for showing Savarkar as he was, for showing what happened in history then. If I was being extremely frank and unbiased in exposing Gandhi, then I had to be equally frank and unbiased in revealing Savarkar. My credibility as a writer and researcher depended on it, and this was so very important to me. 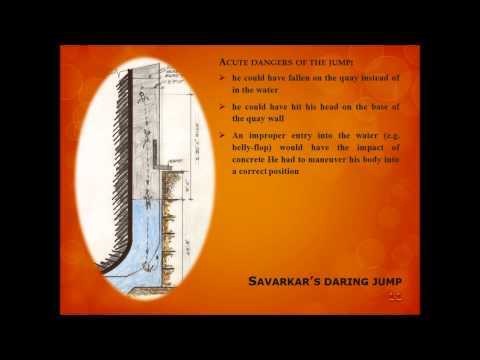 One may agree or not agree with Savarkar in what he advised the Maharaja of Travancore. What is important is to know the circumstance and the context of the occurrence, to know how Savarkar saw the situation, what he felt, and how he reacted. The background of this incident is this: Thanks to an indiscreet press conference of Nehru, described by his biographer Leonard Mosley as “a direct act of sabotage,” Jinnah who had agreed to a United India now had put the Pakistan demand back on the table. A ruthless Direct Action was unleashed upon the Hindus to achieve this and the neither the Government nor the Congress leaders were protecting them from the violent and ruthless wrath of the Muslim League. By June 1947, the violence had reached horrendous heights. Pakistan was granted to the Muslim League, but there was no decrease in the violence. Now the Muslim League was clamoring for the whole of Punjab and Bengal. To top that, Mountbatten was pushing the Maharaja of Kashmir to accede to Pakistan and the Nizam of Hyderabad had every intention of remaining independent (one must keep in mind he occupied a very large territory in middle of India) if he couldn’t accede to India. Savarkar with his unerring political acumen was certain that Pakistan was going to attack India immediately after independence (that is exactly what Pakistan did) and gouge out whatever pieces of India it could and lay claim to them. 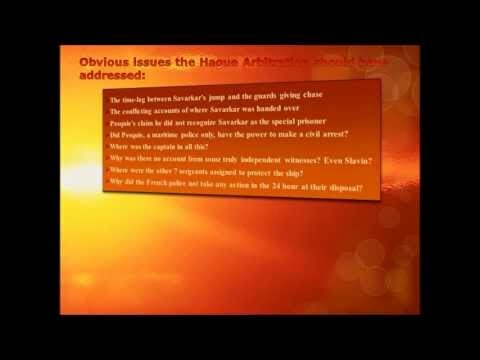 With a Government that had shown itself to be helpless and incompetent, with Nehru and Gandhi still pushing non-violence upon the Hindus, and with Gandhi advocating the dismantling of the army of India, India was so very vulnerable—most certainly that’s how Savarkar saw it. How desperate and helpless must Savarkar have felt! It is at this time that Maharaja of Kashmir and Chief Minister of Travancore wrote to him seeking an opinion for their wish to remain independent. He advised them to do so and encouraged them to build a strong army which could save India if his worst fears came true. It was most certainly not an act of betrayal of India. Below, I am giving the excerpt from my novel Burning for Freedom—a small conversation I created to highlight this. Savarkar was silent for a long moment. Then he looked up. Tears were glinting in his eyes. “But, Tatyarao, an independent Kashmir and Travancore compromises the integrity of Hindustan, doesn’t it?” cried Keshu. “Times are desperate, Keshu—desperate! It calls for desperate measures. Mountbatten is pushing the Maharaja of Kashmir to join Pakistan; that cannot be permitted! Our roots are in the Himalayas of Kashmir; they are our natural protection from enemies. If we have Kashmir as a strong independent Hindu state in the north—just like Nepal—and Travancore in the south, we will have armies to count on when Pakistan attacks. Otherwise, if Gandhi does actually dismantle our army, as he is advocating, Hindustan will be a sitting duck!” He fell silent. “Tatyarao, surely, surely the Government of India won’t be so idiotic!” cried Gajanan. A few days later, Ramaswami Aiyar was attacked by a Christian; fortunately he survived. He resigned from his post, and Maharaja Chithira Thirunal Bala of Travancore acceded to India. The Maharaja of Kashmir managed to hold out and remain independent. C. P. Ramaswamy Aiyar, Chief Minister of the State of Travancore. Hi, Everyone! Savarkar’s poem Bedi is very deceptive—not very long and with short sentence structure. Reading it I even felt that it was easy to grasp. That illusion, of course, lasted only until the moment I tried to translate it. The genius of Savarkar—that rhythm, those speaking yet economical words!—coupled with the genius of the language was really impossible for me to reproduce in translation. The words of this poem are really the tip of the iceberg. There is a deep philosophy behind them. It took me a very long time (and many scrapped attempts) to get a handle on translating the dialogue-style of the poem without putting in my interpretations. आपण अपुलिची I रे बेडी ? My iron fetters—not just for today are they here! They destroy my free will to move so! Why then lavish care upon our very own fetters? Why let the fetters rust? That will only add to the distress. Who knows that today? Ordained it be. Desire or Fetters for that Desire! Most difficult of all were the last lines of the poem! Every week I would come back to them. Every week I would gaze at them for a long time and change what I had written. Finally, inspiration struck one day, and I nailed them down—but I did come this close to giving up! Now when I look at my lines I wonder what all the agony was about. Me running true to type for once! Hi, Everyone! Growing up, one thing was very obvious to me that in my community a light colored skin was very coveted. Never was there an instance of where the words “gora/gori” (light-skinned) was not included in any description of beauty! Skin color is a God-given thing, and always seemed immaterial to me as a consideration for anything, including beauty. Skin-color is also a matter of perspective. Take my skin color for example; I am brown-skinned, light-skinned, or yellow-skinned depending on who is describing me. Anyway, point of writing this is that I am not in agreement with this fascination with the “light-colored skin.” I have memories of teasing my mother, quite unmercifully, when “gora” or “gori” came into her descriptions. And yet what did I do when it came to giving a physical description to my Keshu (in my novel Burning for Freedom)? Before I knew it, I was typing out: light-skinned, tall, muscular . . . ! Not only that, I went whole hog and gave him light-colored hair and light-colored eyes too!! How I laughed at myself! After all these years of making fun of others for their “gora” obsession, here I was running true to type. And I couldn’t talk myself out of it, either. Having given Keshu the typical Chitpavan Brahmin coloring, I was happy to find, though, that it was very convenient in developing my plot line. It was a very, very useful for the revolutionary plot and in developing the gay molestation scene as well as well as in a frivolous scene I wrote in the Andaman days that just flowed out of my mind without planning. Hi, Everyone! To give another example of the esteem Savarkar was held in, read this excerpt from The Last Valley: Dien Bien Phu and the French Defeat in Vietnam. Ho Chi Minh, President of North Vietnam from 1954 until his death, led the Vietnamese nationalist movement for more than three decades. Upon his death his “house on stilts” where he died was preserved as is. There is a study beyond his bedroom which is lined with bookshelves too. So the books he had on the desk next to his bed must have a special significance to him. Savarkar’s book is one of them according to Martin Windrow and there is no reason to doubt his word! I did try to verify this fact independently, though. 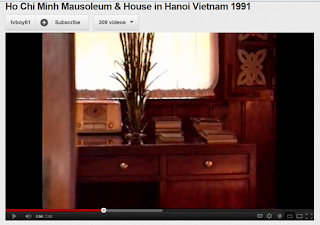 I did find a photo of the desk. Now the books are covered by a glass frame, I believe. If anyone has connections in Hanoi, Vietnam, please do try to get a closer photo of Savarkar’s book. By Martin Windrow, Da Capo Press, 2004. Hi, Everyone! With the independence of India, the political scene within the Congress fold had changed considerably. There was a shift in power. Prime Minister Nehru was in a strong position. He was no more the Second-in-Command; he was no more second to the Mahatma. · Throughout his political career Nehru had acquiesced in many of Gandhi’s suggestions and schemes, just to hang on to the power. 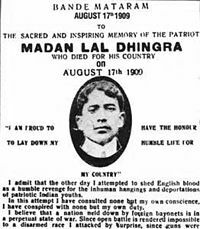 He knew as well as the next man that to oppose the Mahatma was to commit political suicide. Now he had acquired that power. He didn’t need the Mahatma. · Gandhi had refused to pay respect to the flag of India as his charkha was out-voted in favor of the chakra. He had ranted and raved re that in his Harijan. · Gandhi’s latest debacle was interfering in Government policy and twisting the Government arm into handing the fifty-five crore Rupees to Pakistan. Gandhi was no more the cossetted and spoilt favorite of the British. He was now an albatross around Nehru’s neck. · Could this be why there was such abysmal lack of protective security for the Mahatma? Even after the bombing event? One is hard put to it to not think it. The police of free India were the same that worked so brilliantly for the British. In the British times, hardly a scheme was allowed to materialize successfully, so efficiently did the police work! What changed then in free India? · Was it the orders they received? · Morarji Desai had the utter nerve to sanctimoniously point unjust fingers at Savarkar for complicity in Gandhi’s murder, when one word from him was all that was required to prevent Gandhi’s death. · Government of India arrested 20,000 people and tortured so many after the death of the Mahatma. Could they not have arrested a few to prevent the death of the Mahatma? 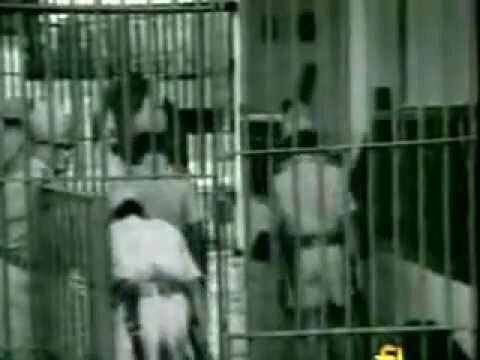 They had ten days, one culprit in custody, and direct information but did nothing to save the Mahatma. · After the death of the Mahatma, the Government of India galvanized into action and ruthlessly put to death the name and reputation of Savarkar—and were only prevented from putting him to death by the prevailing of justice in free India—and annihilated the Hindutva-minded people and their work. This is why I call it their diabolical masterstroke. So many birds all killed with one stone—killed with the bullet that killed Gandhi. And if the person did not leave willingly, he was “persuaded” to do so by underhanded scheming against him! The next five posts are going to illustrate Gandhi’s shenanigans, his scheming, in the case of K. F. Nariman, Dr. Khare, Netaji Subhas Chandra Bose, Dr. Lohia, and Bhulabhai Desai. “At this juncture Gandhi was involved in a long, bitter public controversy which raged for over six months in the Bombay presidency. At the instance of Sardar Patel the Congress members of the Legislative Assembly of the Bombay Province, deprived K. F. Nariman of his opportunity to be the leader of the Assembly Party. Nariman was a selfless, fearless, brilliant, patriotic leader and was looked upon as the natural leader of legislative Party. “For months Gandhi had been assuring Sardar Patel that Nariman would come to harm . . . and yet Gandhi wrote to Nariman his silence had been in the interests of Nariman! Gandhi agreed to be the sole arbitrator in the dispute. Nariman helplessly agreed. Gandhi in his foregoing letter said that if on the examination by Bahadurji or Madgaonkar, his findings were against Nariman, he should have an opportunity of tendering an apology and making a full and frank confession of his weakness and the wrong done to the public, the Sardar and other colleagues. But if he found Nariman unjustly dealt with by the Sardar, Gandhi observed, he would try to undo the mischief. . . . Partial as he was to the Sardar, Gandhi evidently assumed that sardar was innocent and Nariman guilty: for he mentioned no punishment to the Sardar if he was found guilty.
. . . Gandhi was confident of what his judgment would be. In the second week of October, Bahadurji decided against Nariman on both the counts, his action in the election of 1934 and his action in the present dispute. Gandhi endorsed the decision and sent it to Bahadurji who read it in his office to Nariman in the presence of Mahadev Desai. All kinds of pressures were brought on Nariman. To increase the tempo of it, a telegram had been sent to Nariman on the previous day conveying the news that Gandhi’s health was affected and would not be completely restored till this episode had been satisfactorily ended. Overpowered by the anxiety for the Mahatma’s health, Nariman lost his grit and balance. He signed an apology which had probably been drafted by Gandhi and signed his political death warrant. Soon after, Nariman recanted. But it was too late. Gandhi, who had agreed that the enquiry would be private and even the Working Committee need not know about it, sent all the records to the Working Committee; and without giving Nariman a chance to reply, they all got together to guillotine Nariman politically. He was declared unworthy of holding any position of trust and responsibility in the Congress organization. Here you have the Mahatma of the Indians, the man to whom “Truth is God” and who would “sacrifice freedom for truth,” who publicly denounced the revolutionaries for their “secret” agendas, scheming without batting an eyelid! Mahatma Gandhi Facts: Gandhi Revealed.